As June quickly approaches – significant as both Pride month and as the mark of six months out from Election Day – Brianna has been working hard to make sure she will deliver a victory for progress in Colorado. Advocating for strong net neutrality protections in the General Assembly and on the streets. It’s important to Brianna to be out there in the community, accessible, and always listening to her neighbor’s concerns. That’s why in the coming month, there are a number of events for you to connect with your candidate in a variety of forums. 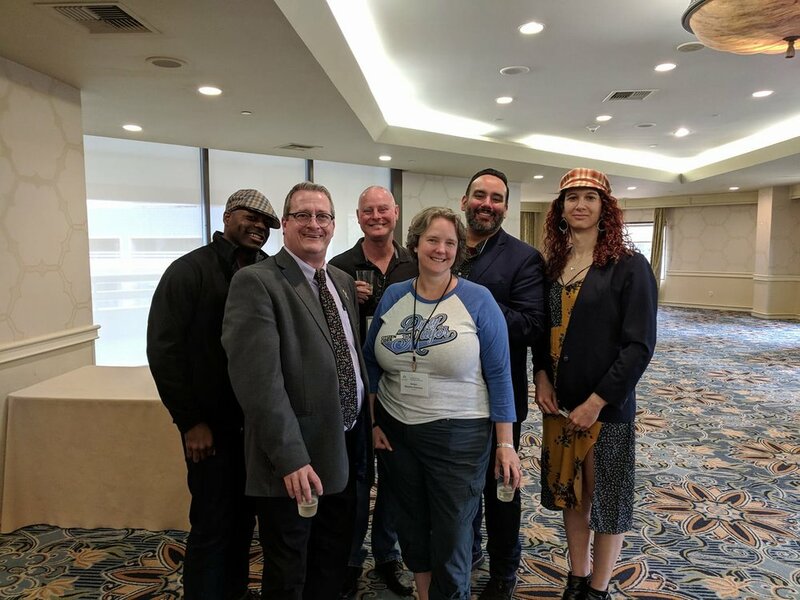 Brianna completes the Victory Institute training for LGBTQ+ candidates, building critical campaign skills that will launch her to victory in November. 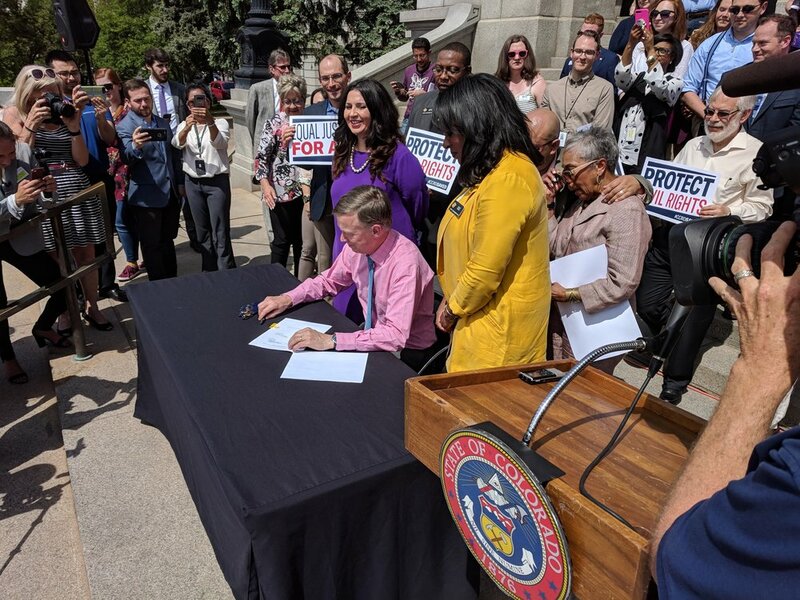 Brianna attended the signing of the Colorado Civil Rights Division (CCRD) which protects the civil rights of citizens of Colorado. Meet Brianna while enjoying craft beer at Denver Beer Co. Come ready to discuss community issues that are important to you, and to learn more about your candidate for House District 27. Tell your friends or anyone that hasn't met Brianna yet. Come kick off Pride Month with Brianna with a good old-fashioned drag show, presented by Vivica Galactica! Proceeds will benefit Brianna’s campaign. Tickets are $10, but the price will go up on May 27th! There will be a door prize! Get your tickets today here and RSVP on Facebook! There’s no better way to get your Pride on than to march with Brianna as she makes her historic bid for the Colorado General Assembly. Brianna will be the first candidate in the line-up behind the Stonewall Dems and the Colorado Democratic Party. More details will be provided as the lineup is assigned. Brianna will be calling on volunteers in the next couple of weeks to start with voter contact. This is an important task that will help the campaign maximize time and money spent on potential voters. Please watch for more emails and check out the Facebook page to learn more. And as always, you can get involved with the campaign by signing up to volunteer, donating, or spreading the word on social media. Sharing and liking posts is a great way to extend the reach of the campaign. Brianna will only make history as the first trans person in the Colorado General Assembly with your help and support! Let’s work together to make sure the future of Colorado is intersectional, diverse and inclusive.